The VisitKorea mobile app, created by the Korea Tourism Organization, is a must-have app for all your Korea travel needs! It offers information on Korea's beautiful attractions, delicious foods, comfortable accommodations, exciting festivals, vibrant shopping centers, and more for an all-in-one resource to make your trip to Korea a success. Users can also use the map service for directions and public transit information, as well as get up-to-date exchange rates and emergency contact numbers for a safe trip. Whether you are in Seoul or Jeju, nearby recommended attractions are best. The VisitKorea app provides customized recommendations based on your location and preferences using GPS signals and big data analysis (Personal information must be saved to receive customized recommendations). 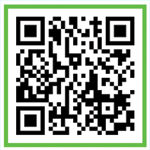 The Visit Korea app can be downloaded for free from the App Store or from Google Play through the QR code and link below.